Tandus Centiva took home four HiP Awards- one winner and three honorees. Interior Design’s HiP (Honoring Industry People and Innovative Products) at NeoCon Awards recognizes commercial industry pioneers and achievement in design solutions and product applications. 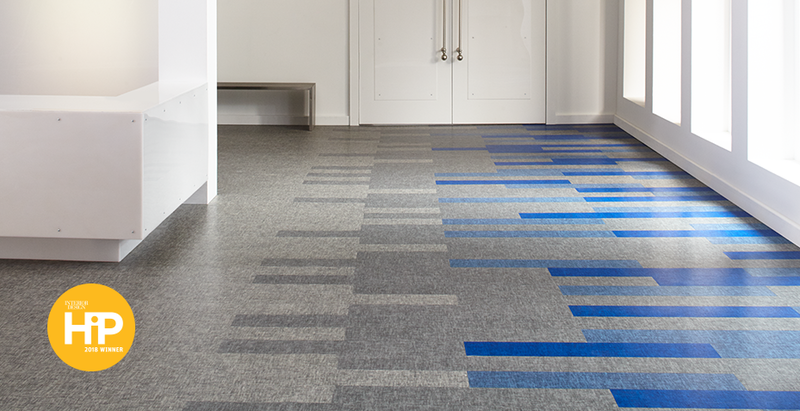 The Color Play Collection + Techtonic™, an LVT flooring product, was selected as the Health & Wellness: Flooring Category winner. With a gorgeous array of calming neutrals and invigorating primary colors available in three textile-inspired patterns, the Color Play Collection + Techtonic provides endless customization and exceptional performance, establishing the right atmosphere for the specific task at hand. The palette is carefully constructed to include 24 hues in each of three pattern options, for a total of 72 product solutions that support the specific needs of every age group and space. 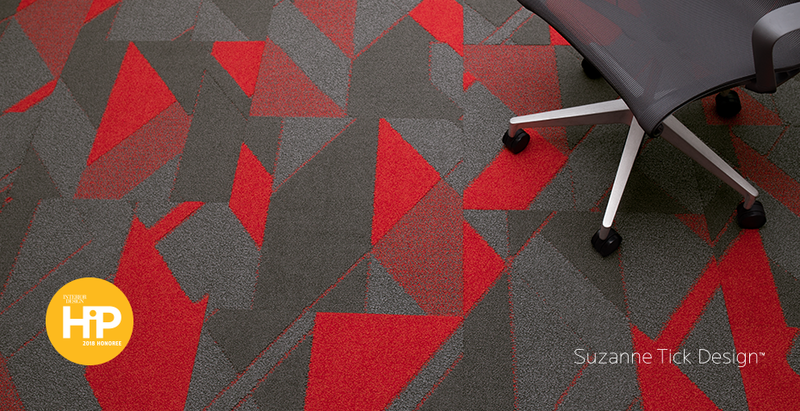 The Scale Study Series by Suzanne Tick is designed to meet today’s space needs and includes an integrated collection of soft surface (Correlate, Continuum and Metri II styles) and LVT flooring (Filament with Tarkett’s + Techtonic™). Shifts in scale have become a necessity in order to embrace an openness and fluid movement between spaces. The Scale Study Series responds to this with four products that go from large to small, and from macrocosm to microcosm—open space to private space. SineEffect by Jhane Barnes takes its name from the mathematical sine function that was discovered by analyzing circles. Not only is there a connection between sinusoids, curves having the form of a sine wave, and circles, but the sine function also describes the motion of things that sway, like a clock pendulum. The sinuous, smooth, back and forth flow of sine curves are also found in nature, like wind waves, sound waves and light waves. 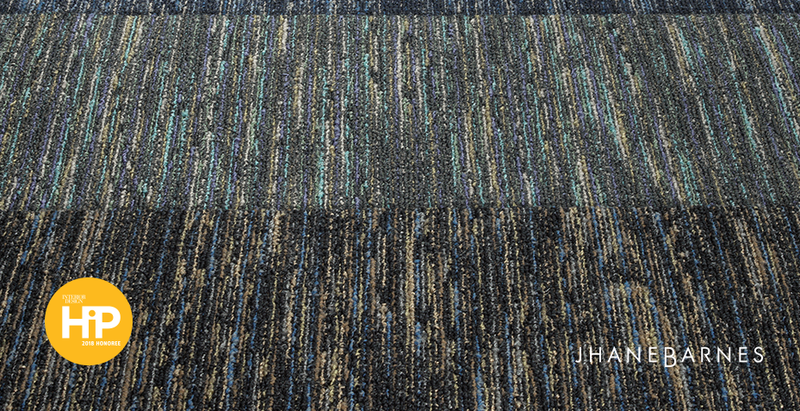 The Tailored Twist Collection is a vibrant, carefully tailored modular carpet collection that combines inventive design with sustainability using the company’s ethos® Modular with Omnicoat Technology™ recycled PVB film backing. It features four patterns that can be used individually or combined for a custom feel: Tailored, Tailored Plaid, Tailored Bloom and Tailored Madras. 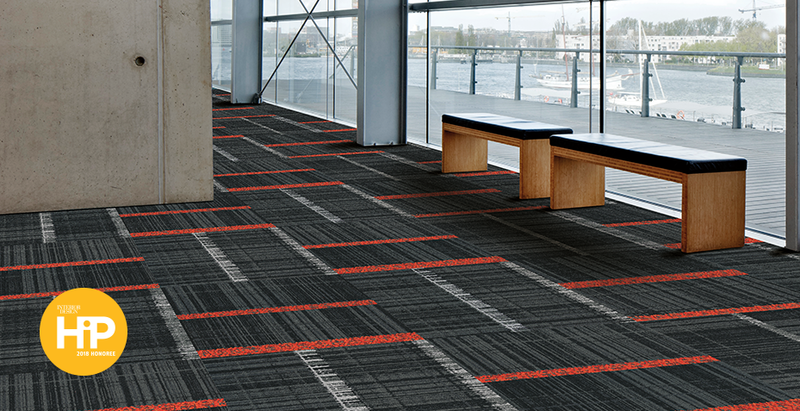 Featuring 162 possible combinations in its palette and patterns, Tailored Twist offers complete personalization.